Iran continues threatening the United States amid tensions over ballistic missile tests. 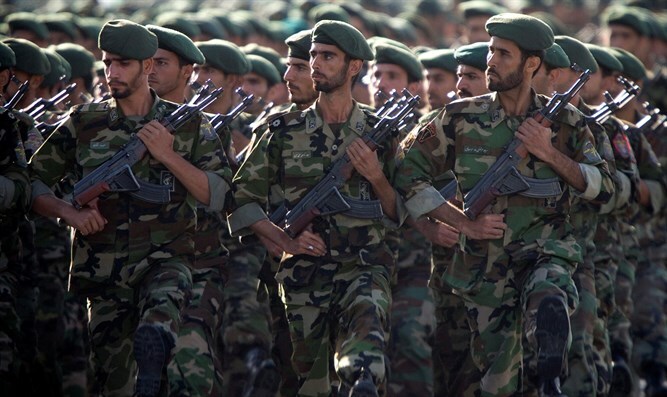 Iran is continuing its verbal attacks on the United States, with the latest comments coming on Saturday from Mohammad Pakpour, a commander in the Islamic Revolutionary Guards Corps. Speaking at a press conference in Tehran and quoted by the semiofficial Fars news agency, the commander warned American officials to “be wise” and stop threatening Iran with military aggression. "U.S. statesmen should be very wise and avoid threatening Iran because the entire world has admitted this fact that the Americans cannot do such a thing," said Pakpour, who added that attacking Iran would be “unwise”. Tensions between Washington and Iran have risen in recent weeks, after the Trump administration imposed new sanctions on 25 individuals and companies connected to Iran's ballistic missile program and those providing support to the Revolutionary Guard Corps' Qods Force. The sanctions came in response to a ballistic missile test conducted by in violation of UN Resolution 2231, which bars Iran from conducting ballistic missile tests for eight years and which went into effect after the nuclear deal between Iran and the six world powers was signed. The country’s Supreme Leader, Ayatollah Ali Khamenei, later dismissed calls from the Trump administration to cease the country’s ballistic missile tests, and said that Trump had showed the "true face" of America. Iran has also threatened to attack Israel in response to an American attack on Iran. A senior Iranian official recently threatened his country would immediately strike Israel if the United States "makes a mistake", noting that "only 7 minutes is needed for the Iranian missile to hit Tel Aviv."